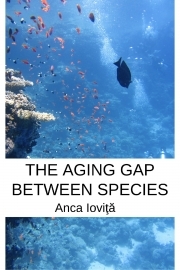 Description of "The aging gap between species (eBook)"
Aging is a puzzle to solve. This process is traditionally studied in a couple of biological models like fruit flies, worms and mice. What all these species have in common is their fast aging. This is excellent for lab budgets. It is a great short-term strategy. Who has time to study species that live for decades? But lifespan differences among species are magnitudes of order larger than any lifespan variation achieved in the lab. This is the reason for which I studied countless information resources in an attempt to gather highly specialized research into one easy-to-follow book. I wanted to see the forest among the trees. I wanted to expose the aging gap between species in an easy-to-follow and logical sequence. This book is my attempt at doing just that. What are the mechanisms underlying the aging gap between species? I intentionally chose to write the answer to this question in plain English. Aging research is too important to hide it behind the closed doors of formal scientific jargon. This book could not have existed if green tea, libraries and the Internet were not invented. The amount of data I had to browse in order to keep the essential patterns is huge. Yet this book is not exhaustive. This is not a dry academic textbook. I tried to instill life in a topic that is hugely important for the extension of human lifespan. Only you can decide if I achieved this. Geriatrics physician,book author and life extension blogger at Longevity Letter whose idea of fun is swimming followed by sushi time. Reviews of "The aging gap between species (eBook)"